For government agencies thinking about journeying to the cloud, it's all about data, according to IT cloud services veteran, Ahmed Hassan. “Trying to connect the dots for government, and the way we look at journeying to the cloud in government, it is all about data. Data plus data plus data," said Hassan, who is Accenture's ANZ health and public service infrastructure and operations lead. 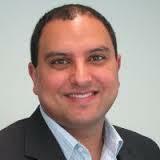 Hassan is a 20-year veteran of delivering services to public service organisations at the federal and state level. Over the past 14 years, he has had extensive experience working with large scale federal government projects. The “first critical step” for government agencies considering moving to the cloud is to undergo a “data security classification,” which will determine the type of cloud the organisation should select, says Hassan, who spoke about digital transformation, cloud, applications and data as part of CeBIT's egovernment stream on enhancing digital services and engagement. In terms of network performance, he said government agencies need to consider the speed, the bandwidth, and the security of the network connections. “When you are deploying applications to the cloud, if the applications are very chatty to each other, with a lot of network traffic between them, then the recommendation is to put them in the same cloud. "Relying on intra-cloud communications, or intra-cloud networks, is not usually recommended. And if you have to do that for one reason or another, that would have to be very well tested,” he said. On the application front, for example, he said start with the business considerations in terms of the application roadmap (considering the practicality of the application, the confidentiality of the data on the application, and the minimum allowable downtime for the business for that application). On average, organisations have between 60 to 200 applications to be considered. Overall, Hassan said both private and public sector operations are being urged to look at cloud solutions first for infrastructure, applications and services, making it a top priority. “Cloud is assumed these days. A lot of our clients are not talking to us about whether they should move to the cloud or not. But they are talking about, ‘when do I move to the cloud? And how do I move to the cloud? That is the discussion that we are having at the moment,” he said. “It is now all about the higher value benefits of moving to the cloud, whether it’s PaaS or SaaS or infrastructure-as-code. Agility and DevOps are hot topics ... and government departments are seriously starting to move into that space now,” he said, adding ‘serverless’ is picking up momentum and where the cloud is headed. He said today it’s difficult to find a government client that isn’t using the cloud in some shape or form, either for DevOps, storage or for production workloads. “Every government department, even the National Security Department, are using it in one form or another,” he said. Hassan said there are three phases to consider when journeying to the cloud including: strategy, assessment and roadmap; transformation and migration; and cloud management and optimisation. He acknowledged the journey to cloud is complex and organisations will face many challenges, particularly navigating through a multi-cloud landscape. “It is tough trying to figure out the agility and the flexibility that’s needed; trying to get the innovation; and the difficulty in optimising the cloud - so doing a lift and shift into the cloud is usually just a first step,” he said, explaining the real benefits will come from the optimisation (from the PaaS and managed services offered in the cloud). 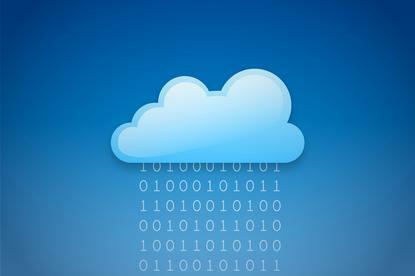 He said governments are journeying to the cloud in a bid to deal with ever-shrinking budgets. “IT budgets are not growing - especially government budgets, which aren’t growing, but actually reducing. But the demands are increasing so part of the journey to the cloud is to look at that as well,” he said. And while many organisations are jumping straight in and giving it a try, many are reacting to “short-term economic pressures or oversimplifying the complexity of the migration,” simply buying cloud like they would infrastructure previously. “That leads usually to unrealised business outcomes, stalled or delayed cloud migrations (because there is no buy-in into why migrations are happening), poor purchase contracts, and a stagnant culture. Our recommendation is a holistic approach end-to-end with an end-to-end view that provides the maximum value, tackles the core systems and manages the complexity. And when focusing on the cloud plan (strategy, assessment, roadmap; transformation and migration; and cloud management and optimisation), it involves a security strategy, operating model strategy, the application, and the infrastructure. He said there are six migration options to consider namely: keep as is; lift and shift; remediate; re-platform; replace or retire; and business case-based decisions. Once the migration decisions are cast, he said organisations also need to decide on various hosting options, whether it will be a single tenant or a multi-tenant cloud. “If you are going to keep it where it is in an an in-house hosted datacentre or is it going to be a hosted private cloud, a government protected cloud, or public cloud? And that will be determined again through the analysis that you would do for the application,” he said. Additionally, he said there are two common migration methodologies to consider when journeying to the cloud: waterfall and agile. “The waterfall is where everything falls. . . It gives you consistent processes. You can measure the value, and the benefits of doing it, but it is much less adaptable than the other one, which is the agile method of doing it, which is highly flexible. You don’t do a lot of planning before you start. You decide as you go, but the problems with the agile is that it is difficult to measure the progress and the costs are difficult to plan ahead of time and you sometimes end up with inconsistent processes and results.